We are offering PTFE Expansion Bellow to our clients. 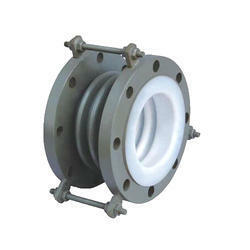 Our company can arrange imported PTFE Expansion Bellows as per requirements. With our expertise and trustworthiness, we are engaged in offering an optimum quality range of PTFE Expansion Bellows. We offer high quality ptfe expansion bellows. Owing to the wide experience of this domain, we are instrumental in offering PTFE Expansion Bellow to our clients. Our firm is involved in providing a broad range of Expansion Bellow. Experts make this product as per industry standards employing the best quality material and advanced techniques. 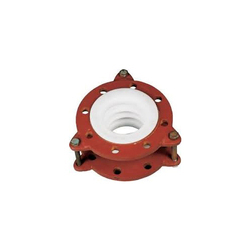 This PTFE Concentric Spool Type Flexible coupling are designed to reduce noise and compensate for expansion, contraction and major piping mis alignment in chemical processing, air conditioning and heating system. PTFE lined piping technology was developed to meet severe operating conditions in the chemical handling industry to solve the problems of corrosion, Erosion & Maintenance free operation for many years... This product is for the substitute for MS/SS piping & PP/HDPE plastic piping which causes corrosion and maintenance problems frequently.